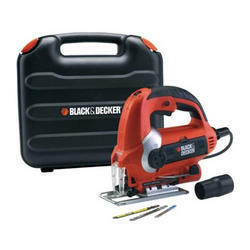 We are a leading Manufacturer of black & decker ks900ekx - 600w pendulum jigsaw with kit, josch jjs 85 - 580w 85mm jig saw and stanley stsj0600 - 85 mm, 600 w jigsaw from Bengaluru, India. 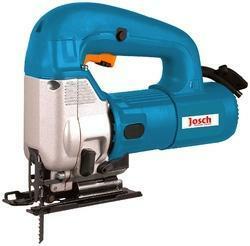 Counted amongst the top most firms, we are offering Jig Saw to our esteemed clients. These are basically used for profile cutting plywood and other article Boards using a variety of router bits. In addition to this, it has two handles for smooth and better operation. Using modern technology and prime quality components, these routers are manufactured and delivered to our clients in scheduled delivery. Our team of dedicated workers put their best effort to make this product glitch proof with set industry standards. Salient features: This is a popular profile cutting machine in the wood industry. It comes with a heavy duty motor housed in high grade engineering plastic body with the gear assembly housed in solid aluminium alloy casting. 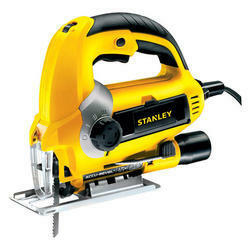 The machine is sturdy and compact design for ease in operation. It has a guide bar for guided cutting. Application: This machine is widely used for profile cutting plywood and other particle boards in construction and other industries. A sturdy base and guide bar helps in smooth cutting operations. The machine can also be used for cutting metals using appropriate cutting blades. Looking for Jig Saws ?